Four more games were played on Sunday, April 14th, on the FUFA Drum Match-Day two. Last year’s runners-ups West Nile were one of the two side who registered victories on the day as they defeated Karamoja 1-0 away from home. 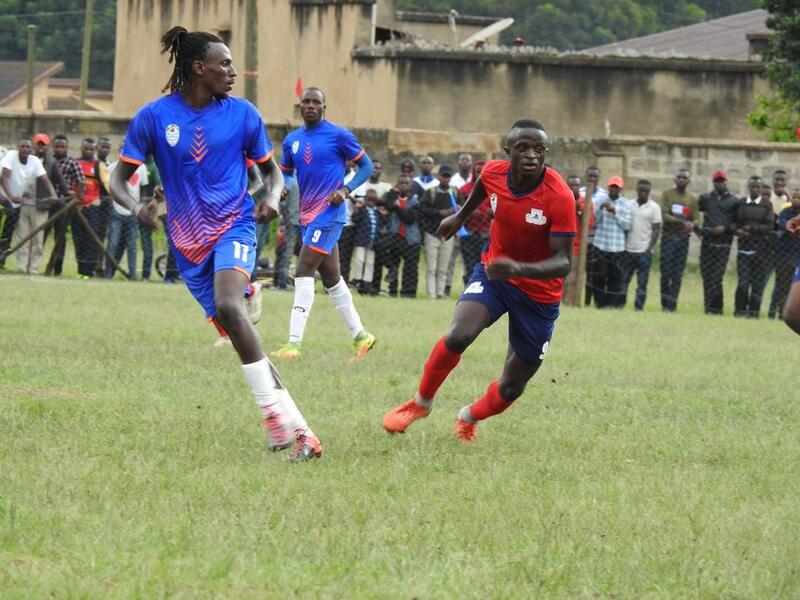 Uganda Christian University player Brian Ade came off the bench to score the only goal, 7 minutes from time. URA FC goalkeeper Alionzi Nafian was named Man of the Match. In Kabale, Timothy Owori and David Owori were both on target as Bukedi defeated Kigezi 2-1. Dickson Niwamanya scored the consolation for Kigezi in the game played at the Kabale Municipal Stadium. Bukedi and URA FC player Ronald Musana took home the Man of the Match accolade plus the prize money. Kabale District LC. 5 chairman Patrick Besigye Keihwa handing over Man of the Match accolade to Bukedi province player Ronald Musana (12). In the two other games played on the day between Busoga and Rwenzori and Teso and Bugisu, both ended goalless. 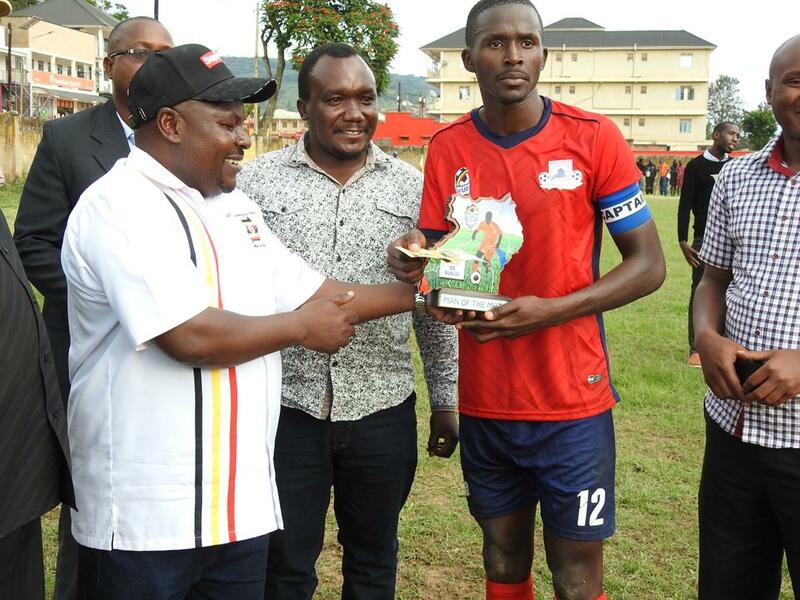 Rwenzori goalkeeper Onyango Kwizera Isaac went home with the Man of the Match award and prize money in his side’s 0-0 draw with Busoga while Bugisu and CRO FC star Steven Mukamba was voted best performer in the other game.